TALLAHASSEE, Fla. – (RealEstateRama) — A team of experts in buildings and their performance has conducted an assessment of 350 structures affected by Hurricane Michael in the Florida Panhandle. From these assessments, FEMA’s Mitigation Assessment Team (MAT) will develop conclusions and recommendations to improve resilience of buildings and their utility systems here in Florida. The team also will develop hurricane recovery advisories to assist in rebuilding in storm-damaged communities and elsewhere in the state. The assessment team focused on building performance impacted by Hurricane Michael’s surge and flood effects such as waterborne debris, erosion and high winds in Bay, Calhoun, Franklin, Gulf, Jackson and Wakulla counties. The team visited sites including schools, critical facilities such as hospitals, police and fire stations, emergency operations centers and shelters), as well as other government buildings, residential and non-residential structures. 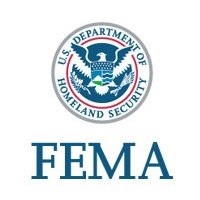 The MAT consisted of experts from the private sector and from federal and state agencies with specialties in: structural, coastal and civil engineering; architecture; building construction; floodplain and emergency management code development and enforcement. After disasters, FEMA’s MAT program is responsible for observing building performance under severe hazard events, determining causes of building damage, evaluating performance of mitigation projects and providing design and construction recommendations to help reduce damage and protect lives. The team will analyze the performance of select roofs, walls, pilings, sea walls, soffits, ground floor enclosures and other building components for trends. Among the factors considered are elevation, siting, retrofits, old vs. new construction, building codes and their enforcement and other factors that can affect performance during a storm. Previous MAT reports, recovery advisories and fact sheets can be downloaded at www.fema.gov/fema-mitigation-assessment-team-mat-reports. Additional FEMA Building Science resources are available at www.fema.gov/building-science/.